Why Choose Preservation Tree Services? Is Soil Compaction Killing Your Lawn? When soil is compacted, important microbes cannot survive and thrive to break down organic matter into the nutrients that your lawn and plants need. Fireblight disease is caused by bacteria and it can quickly spread. Get a beautiful lawn, chemical free! Log into your Preservation Tree customer account to review proposals and pay your bill online. Request a complimentary estimate for pruning work or other services from Preservation Tree Services. Our Certified Arborists can inspect and evaluate your tree's health and needs. 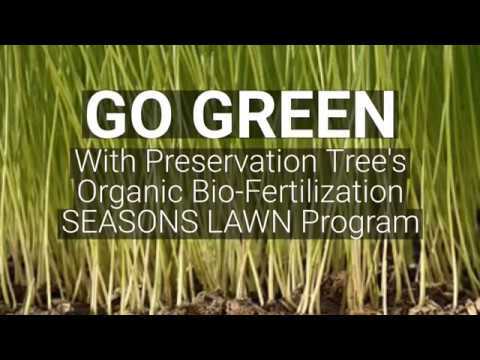 Request a complimentary estimate for the lawn bio-fertilization program from Preservation Tree Services.